Injector Pulse brings injectors back to life by keeping things simple. We believe in offering one excellent service for a great price–our thorough and highly effective cleaning process. 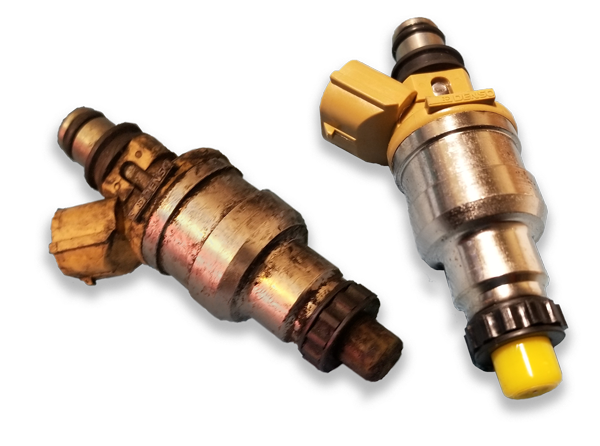 Our injector business goes through Injector Pulse and we do not install injectors without first being inspected and tested by Injector Pulse. Great turn-around and very reliable. Our results offer more than boring numbers. We also offer services for custom applications (mainly for racing). Most tests only test flow at a certain rpm, we can test your injector up to 10,000 rpm for your custom application. Getting your injectors serviced with Injector Pulse is easy! Simply fill out the online order form, carefully wrap and package the injectors, then just ship them to us via your choice of carrier and we’ll take care of the rest.